There are a select few people out in the world who I consider to be flat-out awesome. Call it what you will – my idols, my favorite people, the people I know would be best friends with me if we could just meet, whatever. It’s people like Ray Charles; Martin Scorsese; B.B. King; Stephen King (no relation to B.B. 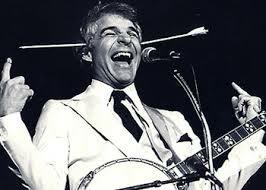 ); but perhaps more than anyone, Steve Martin. He’s a musician, songwriter, actor, writer, and up until just a few years ago when Dane Cook broke his record (really? Dane Cook? ), he had the highest-selling comedy albums of all time. I tell you that so you understand this is not an unbiased book review. To be honest, it’s not going to be much of a book review at all. But I’ll get to that. As a native of Southern California, it was fascinating to read about young Steve getting his first job at Disneyland right after it opened. 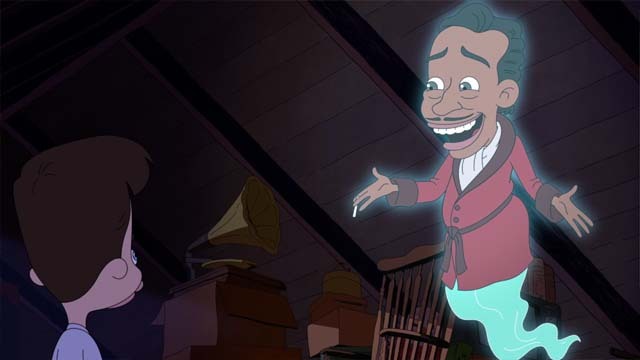 He was all of thirteen and would ride his bike there everyday after school to work at the magic shop inside the hallowed grounds. He quickly became fascinated with how the more experienced magicians (the adults) would get laughs from the customers and learned everything he could from them. The small magic shop couldn’t contain his performing bug, so he eventually moved up the road to the Birdcage Theater inside Knott’s Berry Farm. If you’ve never heard of it, Knott’s is a bit like Disneyland’s little brother. He worked there for a few years before leaving to attend college and begin working on a stand up routine. 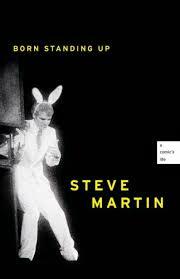 That is merely the tip of the iceberg, and I would highly recommend the book to anyone who enjoys Steve Martin, stand up comedy, show business, the L.A./Hollywood scene of the late sixties, or tales of the pursuit and achievement of one’s dreams turning out to be different than imagined. He explains why he quit stand up never to look back, and I found it quite interesting. That line stuck in my head with such force that the next few sentences I read didn’t even register. I had to stop reading for a minute and go back and read the sentence again. Truth be told, it came as quite a relief. Since I started trying to take my writing more and more seriously, I’ve been constantly trying to keep myself grounded. I’ve known from the get go the chances are slim to none I’ll ever make money writing, but I would still find my mind wandering to magical lands where my books were published and some people even paid money to read them. What’s more, they actually liked them. I tried not to dwell on such thoughts; the way it seems to be spelled out is as follows: writers write, edit, rewrite, edit, revise, edit, edit their edits, submit, repeat. Success could happen but you couldn’t worry about it, you just keep writing. I understand that philosophy, and I don’t think there’s a thing wrong with that. But for some of us, you’ve got to allow a little leeway to daydream some. You’ve got to believe there’s at least some chance you could be hugely successful someday, and thanks to Mr. Martin I know it’s okay to picture myself doing readings and book signings once in a while. Who knows, with enough commitment, dedication, and hard work, someday some of it may not turn out to be a delusion after all. PS – If you enjoy comedy and haven’t seen Bowfinger, check it out. I’d say it’s one of the most underrated comedies of all time. PSS – I’ve added another (very) short story titled Blue Skies to my Readwave page. You can check it out, as well as my other short stories, here. Does this picture make you smile? Does it make you groan? It’s OK either way, there’s no wrong answer. I love to laugh, so it makes sense that I love comedy. Who wouldn’t? Besides, laughter is good for you. People way smarter than me have proven it, so if you don’t believe me, visit a search engine near you. I love all forms of comedy: sitcoms, movies, sketch comedy, satire, the Kansas City Royals. But the one I have the utmost respect for is the one I wanted to talk a little about – Stand Up. One of the most universal fears people have is public speaking. But most people’s public speaking is giving a short presentation at work or school, maybe some sort of speaking engagement at a conference, something like that. I guess that’s not necessarily easier than being a Stand Up, but in most cases if you just suffer through those in that one instance, you’ve succeeded. Imagine the added pressure of having to be funny and entertaining the entire time, doing it night after night, and being judged an utter and complete failure if you’re not. I feel Stand Ups are unsung heroes. Once you attain a certain level of success, you can travel a lot more comfortably (like maybe Chris Rock or those Blue Collar guys), riding in rock star buses from town to town, taking your family with you if you want. 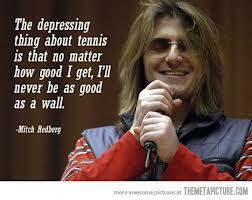 But like a lot of other artists, the up and coming spend a lot of time struggling and starving. And in the case of comedians, they do it alone. Driving a beat-up car from city to city and state to state, wondering if you’ll be paid the amount you were promised (or paid at all), not knowing if you can afford a decent place to stay for the night, and wondering if you’ll have a good show. Will they like you? I’ve heard comedians say that they are generally a self-loathing, hateful group of people. I would tend to believe that (which is what makes some of them so funny), but thankfully, as with all other forms of comedy, it’s not true across the board. You can find something for almost every mood, every point of view, and age level. It’s not all mean-spirited, cynical and vulgar. But if that’s what you like, there’s plenty of that out there for you. If you prefer something a little cleaner and family friendly, that’s out there, too. You may have to search a little harder for that, but I think it’s worth it. It reminds me of music. There may be a lot out there you don’t like, but when you find something that really connects, it’s totally worth the effort. Now, I understand some people just don’t like comedians, and that’s OK. I’m not trying to force anybody’s hand out there. But I feel like not enough people appreciate what these people do, and just wanted to encourage everybody to look up some clips on YouTube, buy a CD on iTunes, or, better yet, go catch a comedian live. 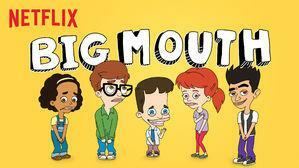 Have some laughs; it’s good for you.